What Would It Take to Get a Raise Around Here? Dear Orna: I haven't had a raise in 3 years, but I work really hard and I know I am doing a terrific job. How do I get my boss to give me a raise? ~ Signed: I am worth more! Dear I Am Worth More: There are only two good reasons your boss will give you a raise: (1) You make him look good by adding value to his work, or (2) You help improve the company's bottom line. If you believe . . . .
Dear I Am Worth More: There are only two good reasons your boss will give you a raise: (1) You make him look good by adding value to his work, or (2) You help improve the company's bottom line. If you believe that your effort does one or both of these things, then by all means, ask for a raise. But get prepared before you ask! Remember, your salary has nothing to do with your value as a nice person, or that you have five kids or a lot of debt. None of this matters to your boss or the company. 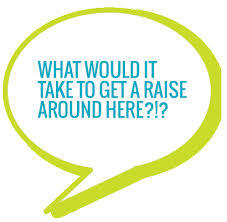 Your raise is solely a reflection of what your company is willing to pay for your services. The better your services, the more they will pay! So now that you've taken out the emotion, you are ready to prepare the most important part of the process . . . gathering the facts! Gather strong evidence in your favor. Pull together concrete examples of how you have made an impact with your performance. Have you helped your team complete an important project or helped bring in a new customer that added revenue to the bottom line? Can you point to specific examples of how you have helped improve the team's morale, moved along a project or came up with a creative idea -- or simply added value to the work of the team? This is not time to be humble or shy. If is up to you to blow your own horn. So avoid humility and subservience. Say This . . . Begin by stressing that you love your job and the company. Your argument is that your compensation doesn't match your contribution or responsibilities. Consider saying something like: "I'd like to thank you for the opportunity you and the company have given me. I have really enjoyed working here and feel a strong commitment to the team. However, I believe that my salary no longer reflects my contribution to the company." And then it's time to give your specific examples of how you have made an impact on the team, department or company as a whole! Don't project guilt. You are asking for what you deserve. This forthright attitude is important and will come through if you maintain direct eye contact when listening or speaking. "For all these (really great and meaningful) reasons, I think a salary of _______ give a specific number (like $85,000) -- would more accurately reflect my contribution." You have been clear, direct and honest. Now it's time for your boss to consider your evidence and respond to your request. Feel good about about yourself and proud of taking initiative on your own behalf. If you have added value, you will be rewarded.